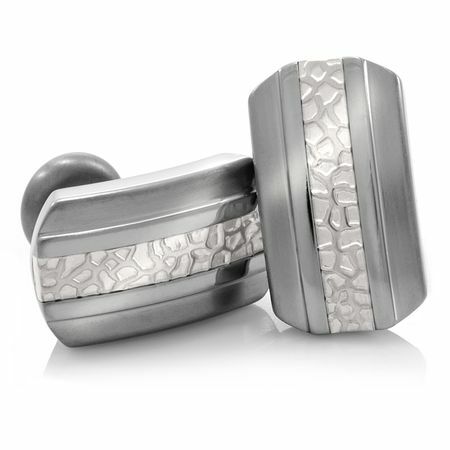 These distinctive cuff links by Edward Mirell feature a unique look with the hammered finish titanium in the center. The Mediterranean titanium collection was designed for discriminating people who appreciate uniquely styled modern jewelry. 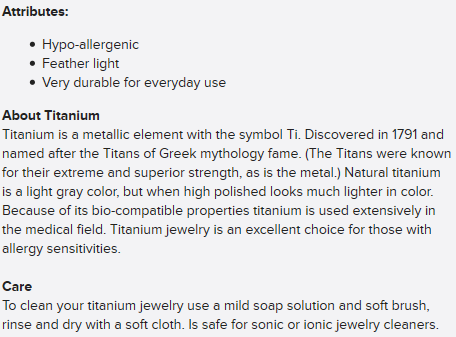 I am quite impressed with Titanium Jewlery.com! They really worked hard to get my order shipped in time for our 10th anniversary. The cuff links were so beautiful! Thank you for great customer service and a great product!